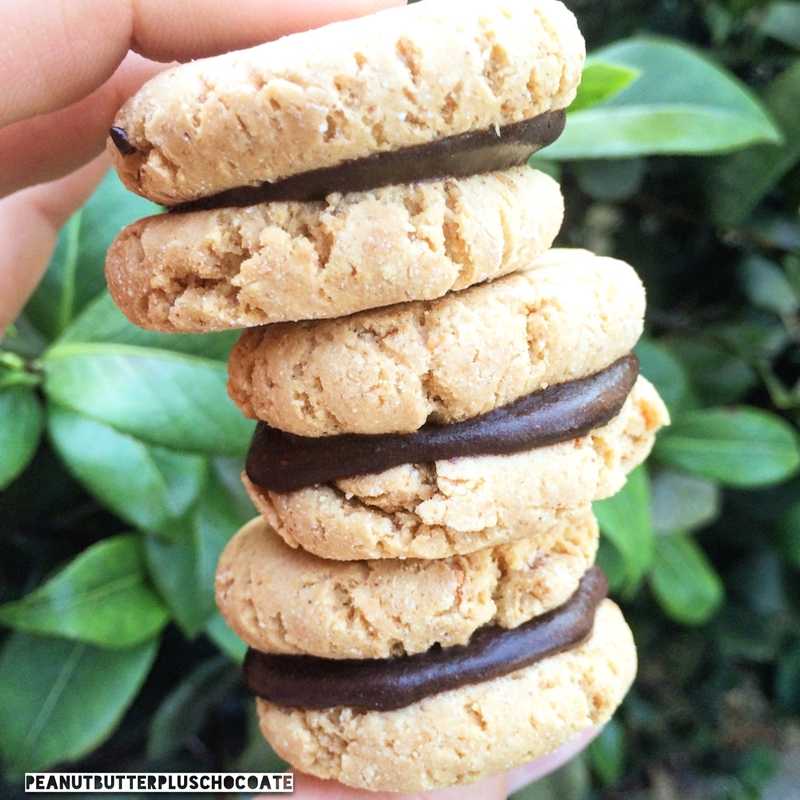 The perfect cookie to satisfy your peanut butter-chocolate craving without breaking your diet! Fudgy chocolate center between two crunchy peanut butter cookies--pure bliss. Pre-heat oven to 325f. Mix together coconut flour, powdered peanut butter, vanilla protein powder and baking powder. Add peanut butter and egg whites. Mix until dough forms. Roll dough into 8 balls and press them plat on a baking sheet lined with parchment paper. Bake for 5 minutes. While cooling melt maple syrup and coconut oil together. Mix in cocoa powder. Once the cookies have cooled, place about a nickel size of chocolate on the center of four cookies and sandwich with remaining cookies. Place in the freezer for 10 minutes to harden. Enjoy!